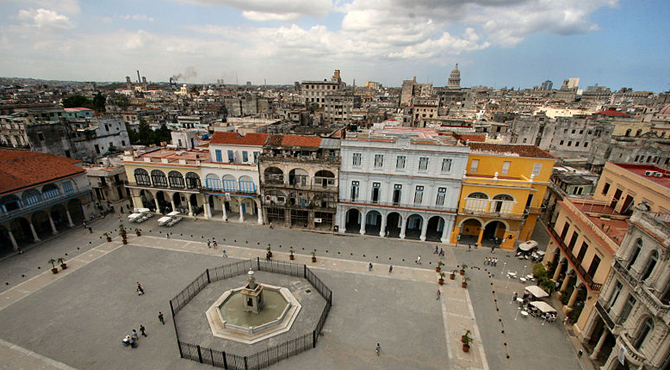 Cuba’s government has turned down a plan to open a mosque in the capital Cuba. Pedro Lazo Torres, the leader of Havana’s Muslim community, revealed that his joint efforts with Turkey’s Religious Affairs Foundation (TDV) to open a mosque in Havana was rejected. Torres expressed his dismay at the decision, noting that Russia was granted permission to build an Orthodox church in the country but 4,000 Muslims in Cuba still have no official place of worship. Cuban Muslims have until now had to make do with performing congregational prayers in Torres’s living room. In April, TDV assistant manager Mustafa Tutkun sought permission to begin work on a mosque, which was to be designed after the famous Ortakoy mosque in Istanbul. The plan was part of a wider project by the TDV in building mosques for Muslims who live in the Caribbean. Be the first to comment on "Cuba rejects plans for first mosque"